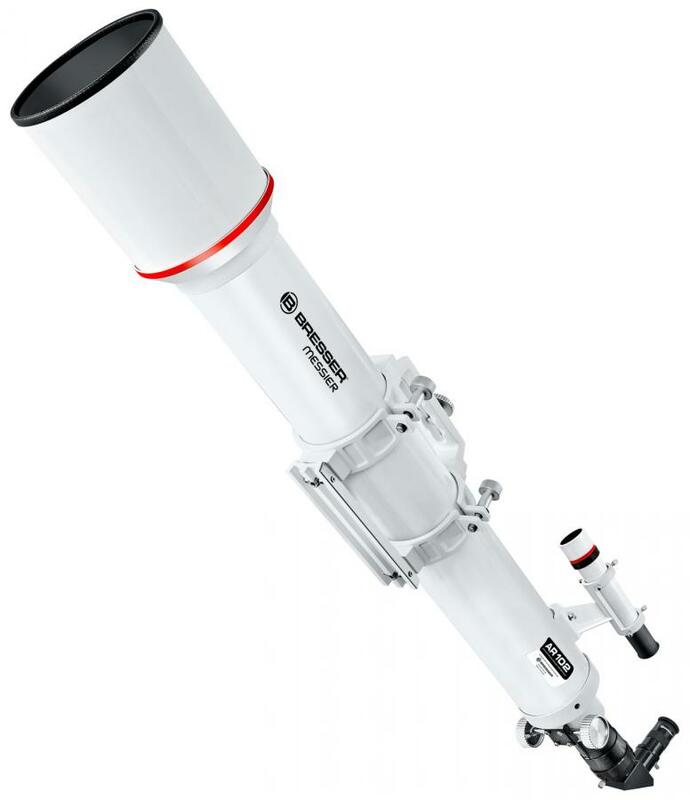 Ambitious beginners and advanced observers alike will see the brightest objects outside our solar system with the Bresser Messier AR-102 telescope. Watch details in the Great Orion Nebula from the astonishing distance of 1500 lightyears (14.200.000.000.000 km)! Scanning the lunar terminator is simply a pleasure. You will never give the Bresser Messier AR-102 Telescope away voluntarily. 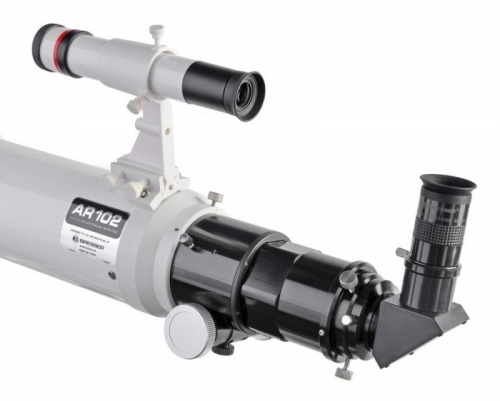 The AR-102 is ready to use on Bresser EXOS-1, EXOS-2 or similar mounts. 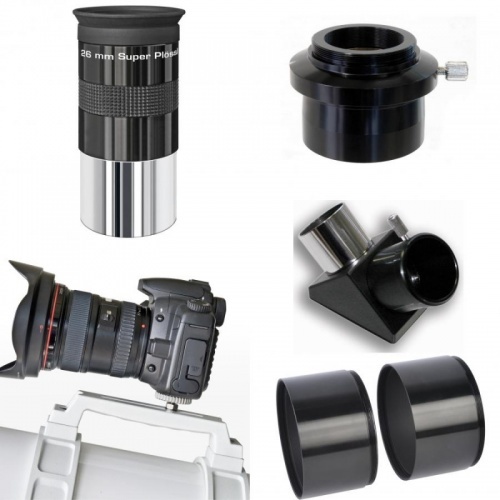 Content: optical tube AR-102/1000 Hexafoc + Acc.